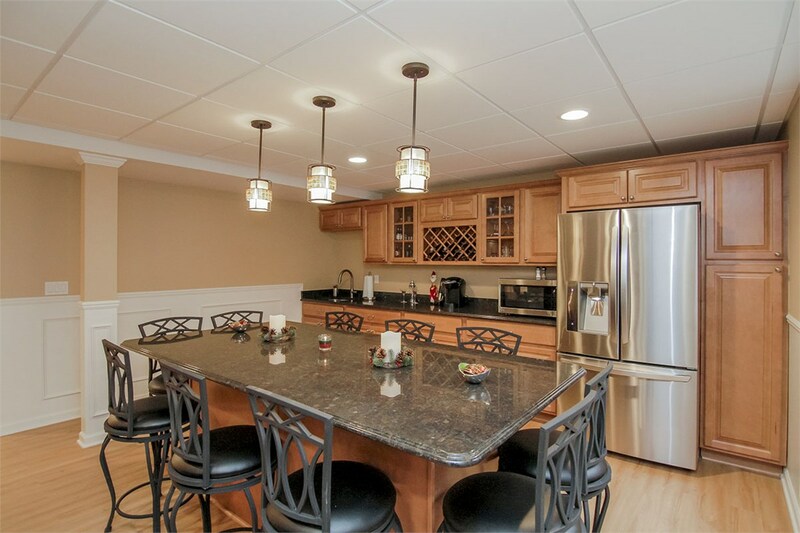 Entertain guests or rent your space with our beautiful basement kitchen remodels. 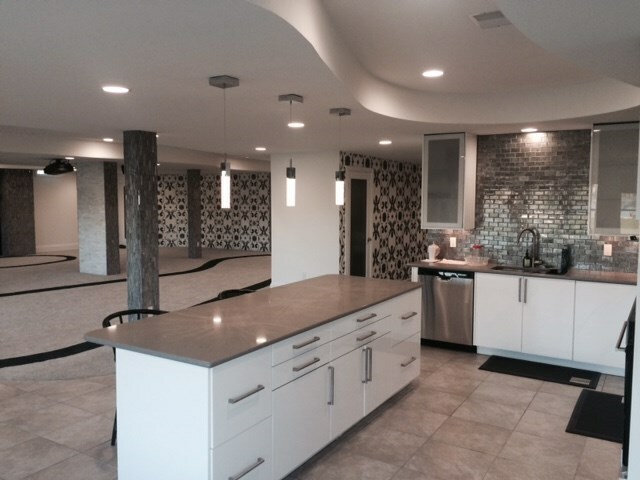 Moving a family member into the basement of your home but need to add a kitchen before you do? Want to create the perfect home entertainment experience that allows you to conveniently serve snacks worthy of the big game? 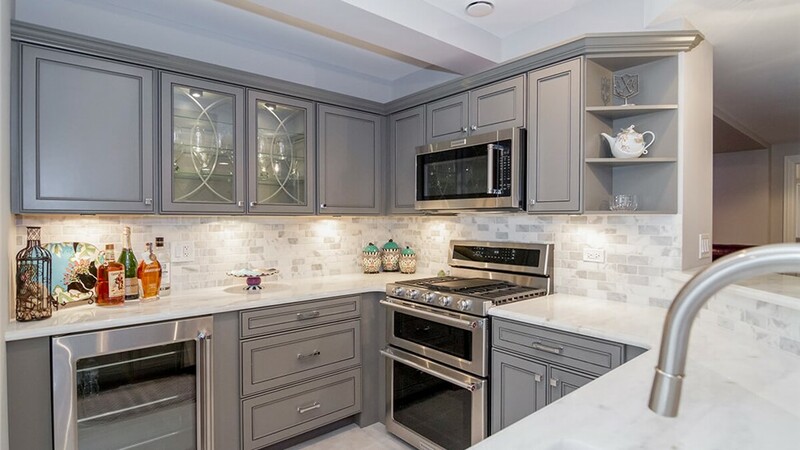 There are plenty of reasons homeowners have for choosing to install a kitchen in their basement and whatever yours is, you can trust the experts at Matrix Basement Systems for top-tier results. For more than a decade, we’ve been helping homeowners add stylish and functional Bolingbrook basement kitchens to their homes, and we’d love to help you, too. With over 3,000 successful basement remodels to our name, we’ve got the experience and skill required to tackle remodeling projects of any size. At Matrix Basement Systems, we recognize that you have unique needs, and we’ll work with you to customize your basement. Using high-quality materials, our experts will help you create a stunning basement kitchen that is the perfect space for all of your cooking and entertaining needs. 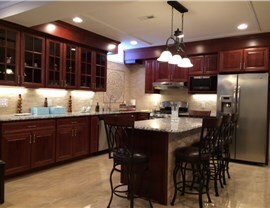 Qualified Experts: From your initial design consultation through the end of your project, you’ll be working with some of the most talented licensed, bonded, insured, and BBB-accredited basement kitchen remodeling professionals in Chicago. Premium Materials: With products like the Matrix Forever Wall, we finish your basement with the most energy-efficient and water-resistant solutions available on the market. 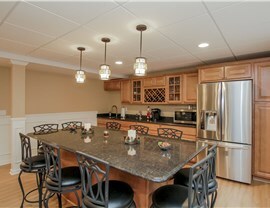 Comprehensive Services: We make remodeling your basement easy and convenient! 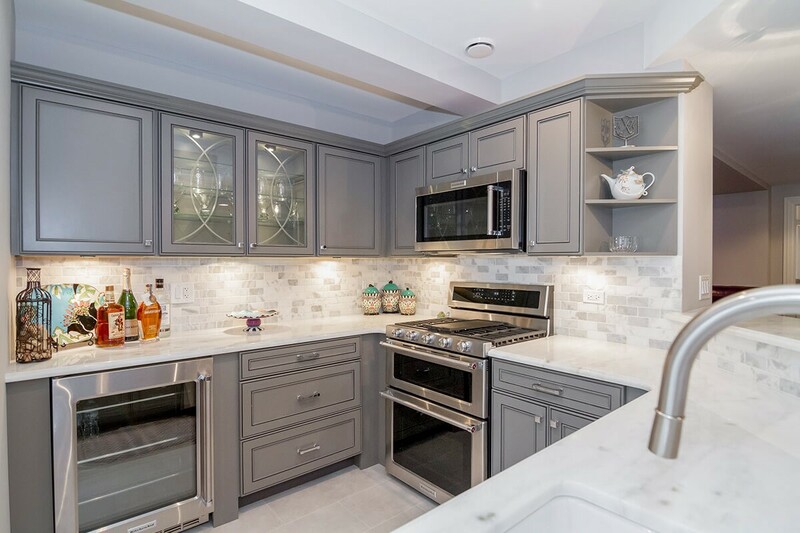 Our turnkey services include everything you need for a beautiful basement kitchen renovation from floor to ceiling. Competitive Pricing: With competitive pricing and flexible financing options, we work with a variety of remodeling budgets. Additionally, we offer extended product and labor warranties to give you peace of mind that your investment is protected. When you’re ready to transform your basement from a boring room into a beautiful space complete with kitchen, get in touch with the Chicago basement finishing experts at Matrix Basement Systems. We’d love to discuss your remodeling ideas with you, so give us a call or complete our online quote form today to request your no-cost, no-obligation project estimate.